Christmas Eve is where things start to get busy for my family; the shopping is usually delivered then, we have to clear space for decorations, and we're multi-tasking putting up the tree as we wrap presents in the final hours. This year was somewhat different, as our Christmas-rush took place yesterday. It does mean that we're slightly ahead of schedule this year, although it also meant that yesterday I had no time to write the advent calendar piece. Sorry! For our final advent calendar piece this year, I tried baking some cupcakes with a Quantum Break design...with the emphasis on "try". I'm also going to make this a more photo-focused article as I'm sure that you would like to spend more time with friends and family today. 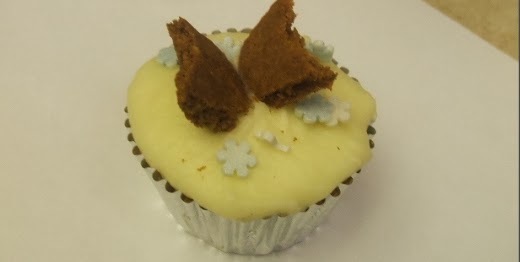 Vanilla cupcake recipe and gingerbread recipe from BBC Food. 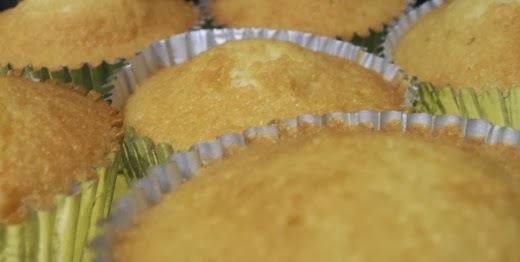 As I created cupcakes last year, I focused more on taking photos of the final stages than this initial part. Also it's more interesting! 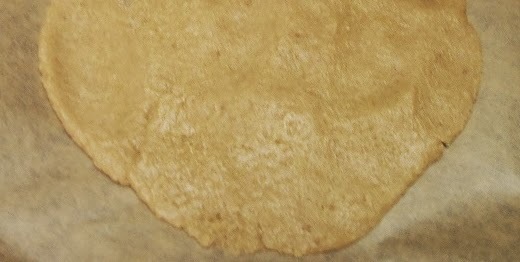 Creating the dough went a lot smoother this time, and there were fewer problems. You can read last year's post HERE. I heated the oven to 180c, and used the time needed for it to get to temperture to sort out the cases. 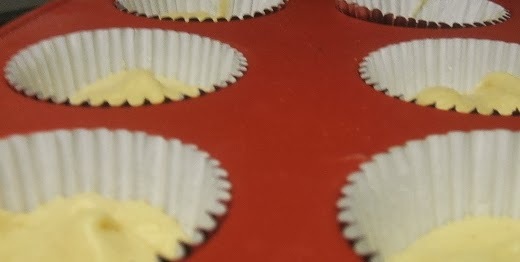 I put a silicon cupcake tray on another baking tray, placed in the cases and added two tablespoons of the mixture to each one. I bought some silver foil cases to match the game's colour scheme. The only issue using them was that they got very hot very quickly and remained that way for a long time. In the end they took around 20 minutes. I was really proud of them when they had finished baking. Much better than my attempts last year! Next, onto the buttercream icing! 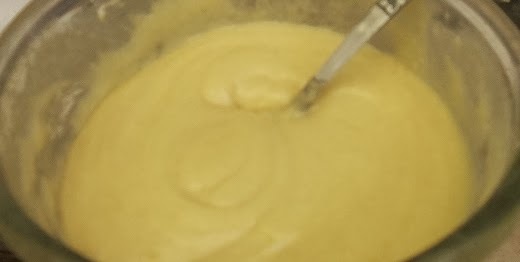 I have never actually made buttercream icing before but fortunately it's something that quite quick and simple to do. And incredibly messy. 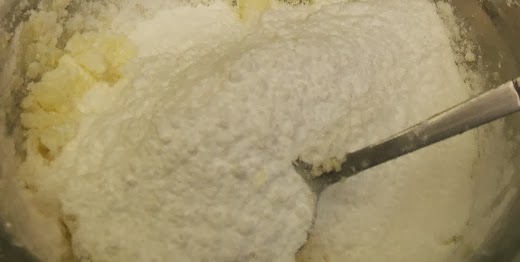 Basically it's just 140 grams of butter and 280 grams of icing sugar with a tablespoon (or two) of milk. What could possibly go wrong? I tend to find simple tasks more complex. Give me a difficult task, and chances are that I can probably do it or at the very least, have a good go at it. 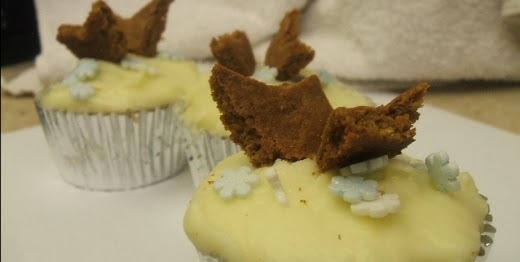 Simple tasks on the other hand I tend to mess up, and making buttercream icing is a simple task. Given it was a cold kitchen and the recipe asked for the butter to be at "room temperature", I decided to microwave it slightly to make it softer. We had just recently replaced the microwave as the old one regularly failed to heat up properly. I was pretty tired at this point and forgot this change, so the butter came out a little more...liquidy than what I had intended it to be. Shush, I'm a professional. 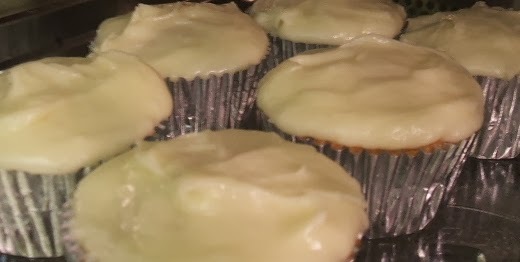 Seemed to work fine anyway, and it certainly tastes like buttercream icing, it was just tricky trying to get it to stay on the cakes at first. Last year when I was making the gingerbread men, I used a store bought dough from Sainsbury's. To be honest, I prefer using something like that as you're guaranteed to have the ingredients just right. I checked a few times over the past few weeks, but they don't seem to have it in stock this year, so I attempted to make it from scratch. As I only wanted to use it for the cake decorations, I only used a quarter of the recipe provided above. 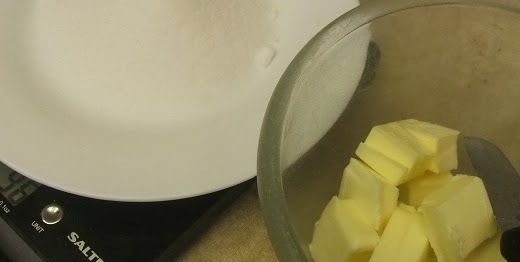 It's also surprisingly simple to make (the good kind of simple), as you literally just find the needed ingredients, put them in the bowl and mix. 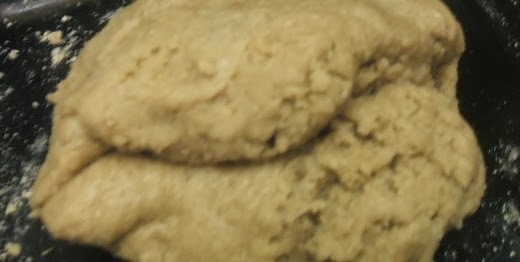 I placed the dough in the fridge for around about 15 minutes, to allow it to cool and harden. 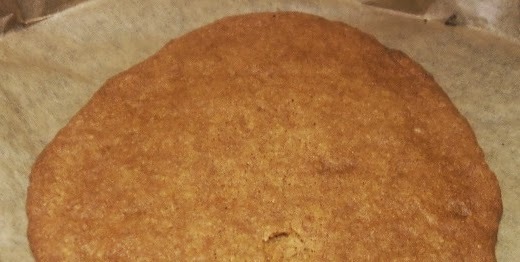 Last year I found it easier to cut the gingerbread once I had cooked it, so I tried it that way again and baked the gingerbread in a thin layer. You can, of course, shape it before putting it into the oven, it would expand slightly but would also create a nice smooth edge to the gingerbread. 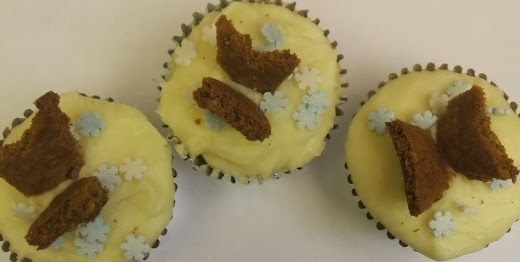 While the design was inspired by the Monarch logo, creating the look exactly would have been incredibly difficult given the size of the cupcake, but a rough pattern worked just fine! So I cut out my design on Baking Paper and used that as a template. And that's it! I hope you have a wonderful and safe holiday season. Make sure to spend and enjoy it with family and friends!